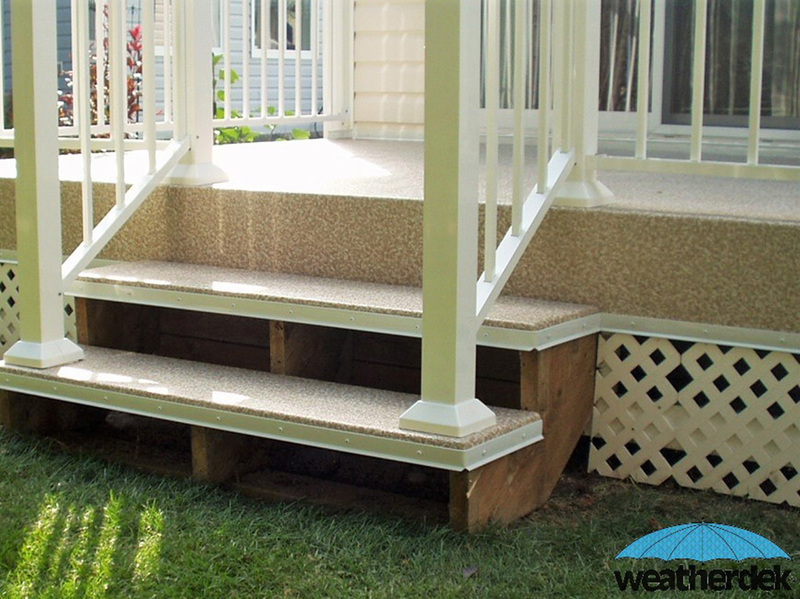 Weatherdek understands that you are looking for more than just a new deck covering; you’re investing in an extension of your homes living space. 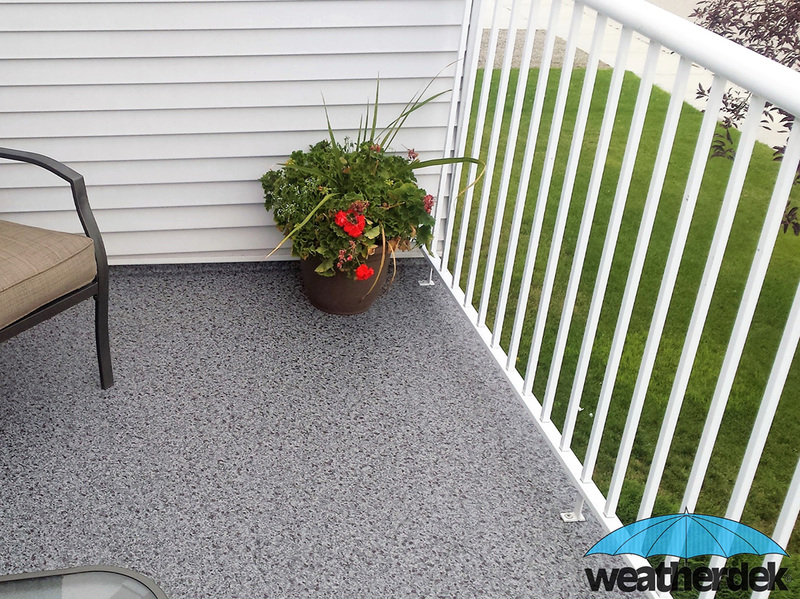 Our products are designed with this in mind, offering the largest range of colors and patterns available, we are sure to have the right look to enhance your home’s outdoor décor. 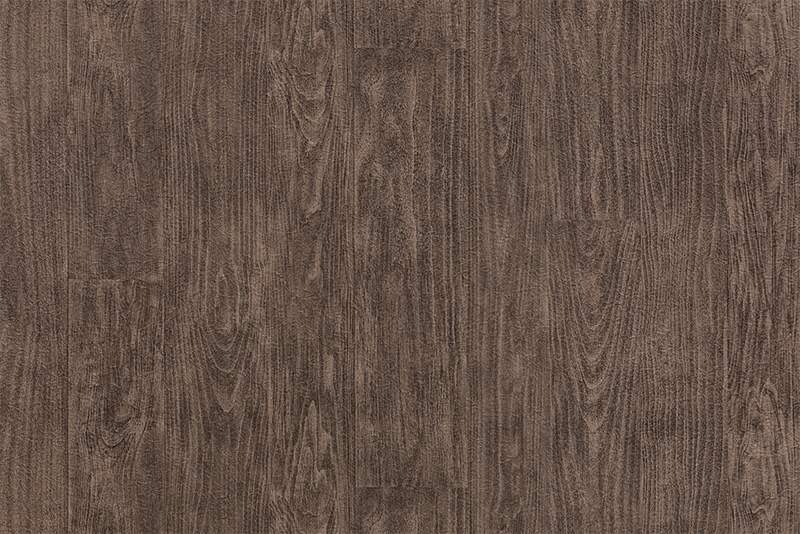 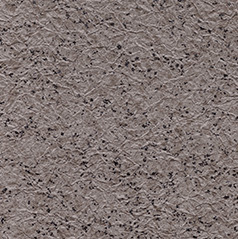 The workhorse of the Weatherdek lines, the Designer Plus series offers a selection of pure and organic color tones that blend well in virtually any setting. 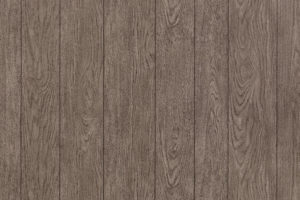 From a backyard deck in the garden, or a roof top terrace in the heart of downtown, the Designer Plus series has the look to match. 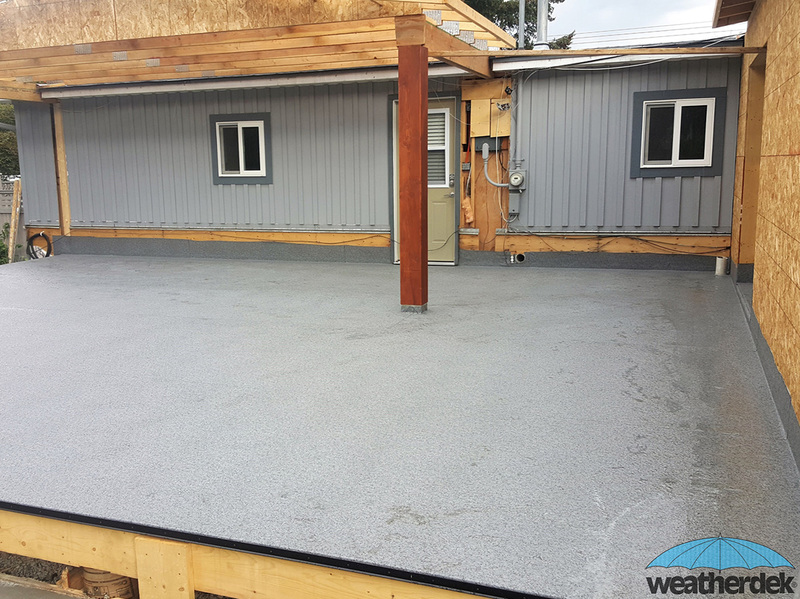 For years these patterns have been some of the most popular with homeowners and builders alike, and continue to deliver maintenance free long lasting waterproof protection against the elements. 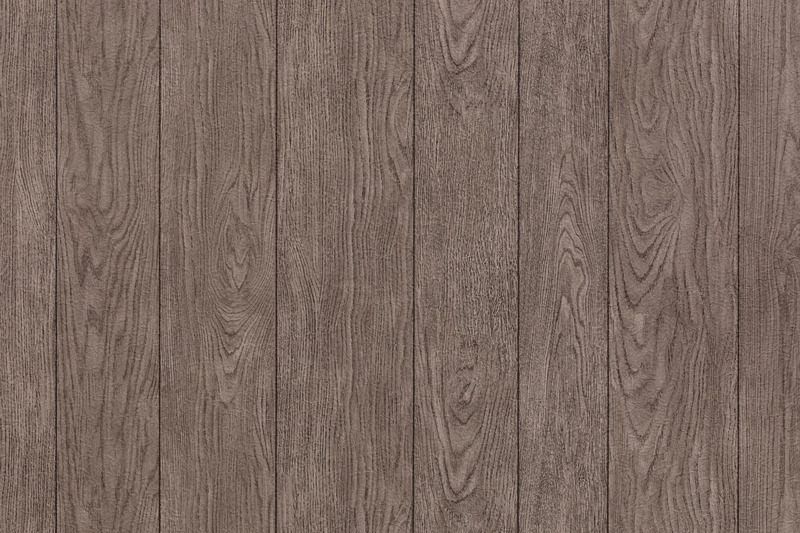 This clean, cool look of the Classic Plus Series lives up to its name ‘Classic’. 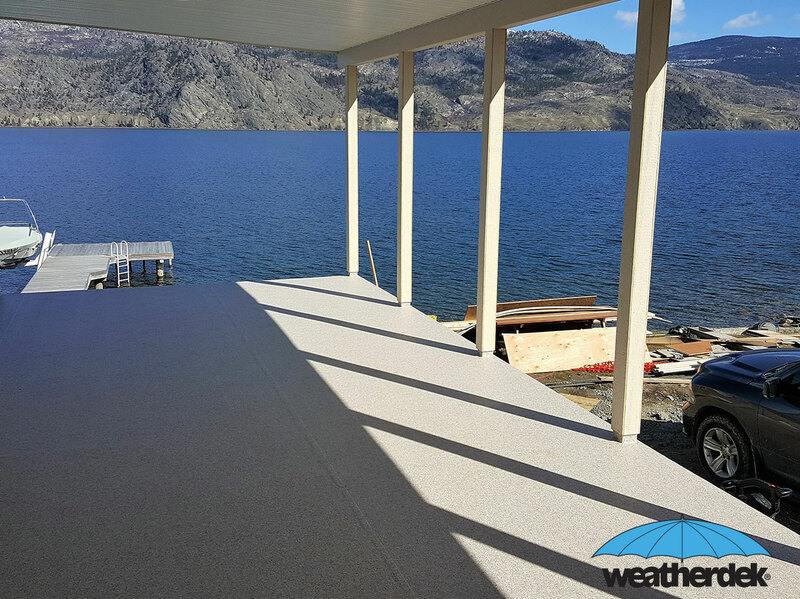 Sure to compliment any decor style, with a long lasting durable finish that is 100% waterproof, Classic Plus products will withstand high UV exposures and heavy traffic areas. 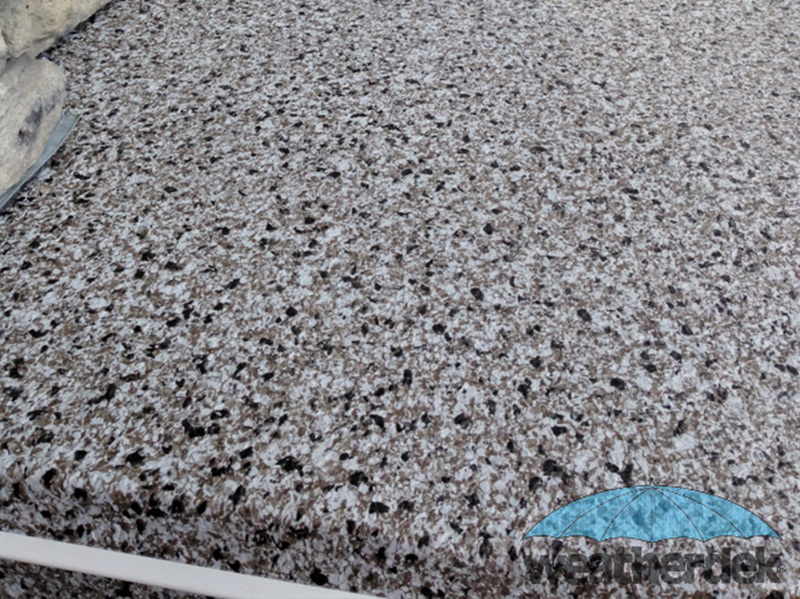 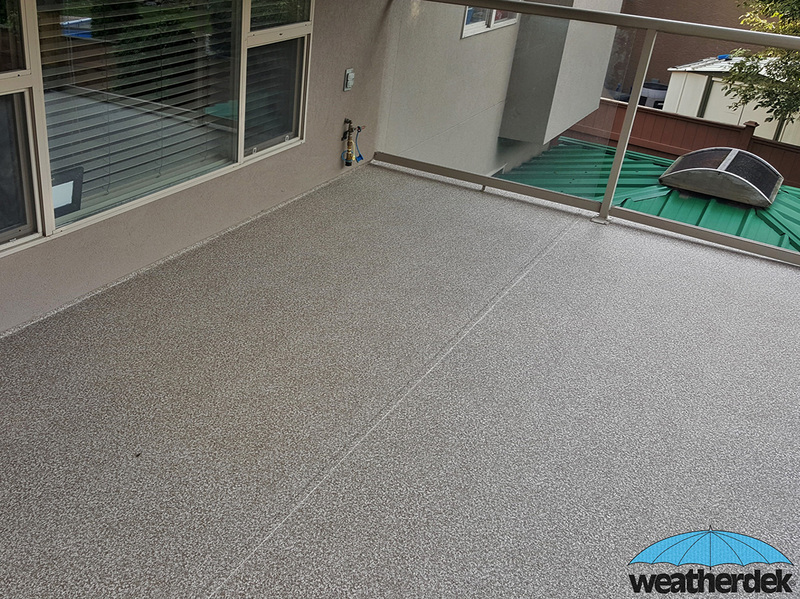 As with all Weatherdek Plus materials, the Classic Plus is finished with a proprietary acrylic top coat for years or maintenance free protection and toughness. 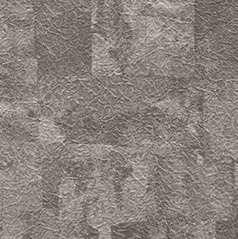 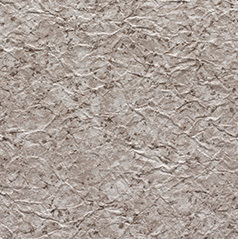 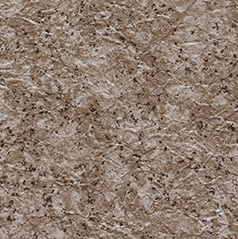 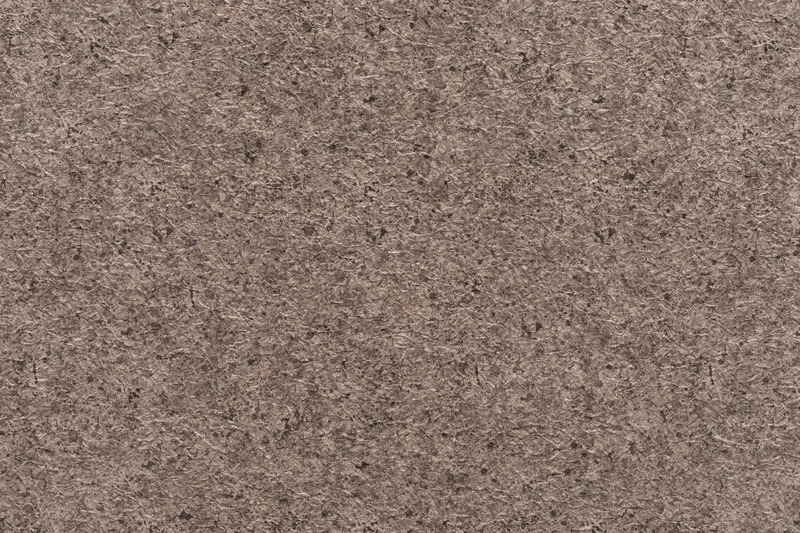 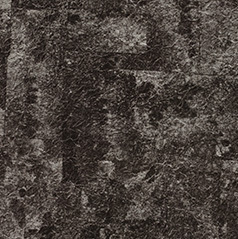 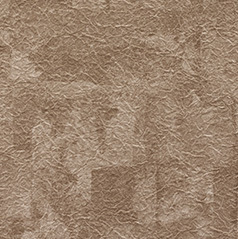 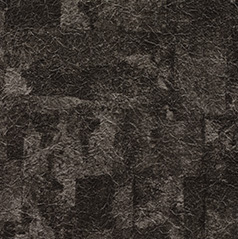 If you’re going for a more raw and natural feel, the Signature Stone Series is the product for you. 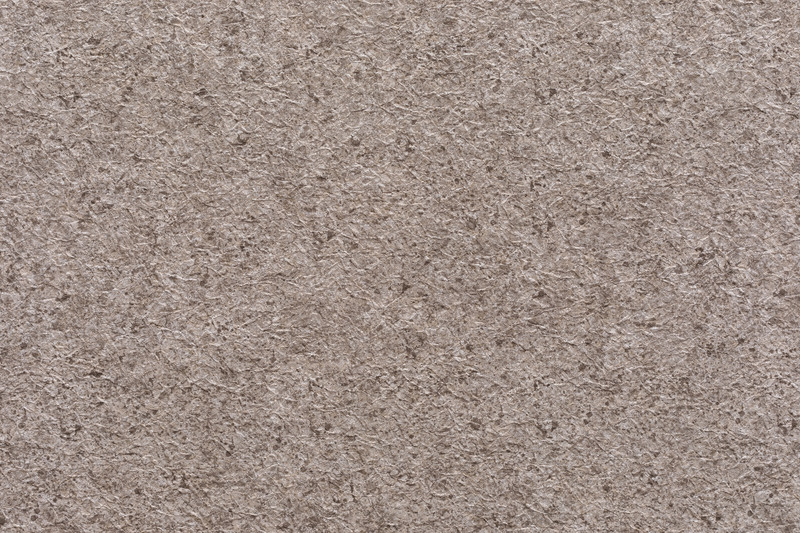 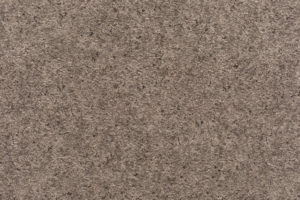 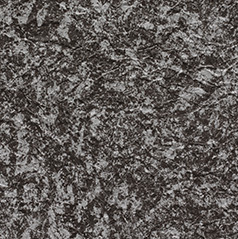 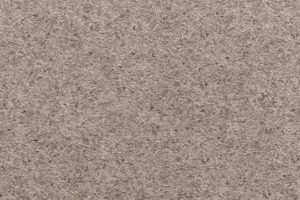 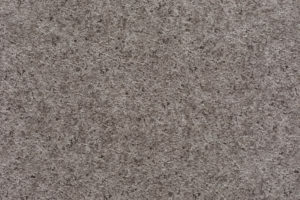 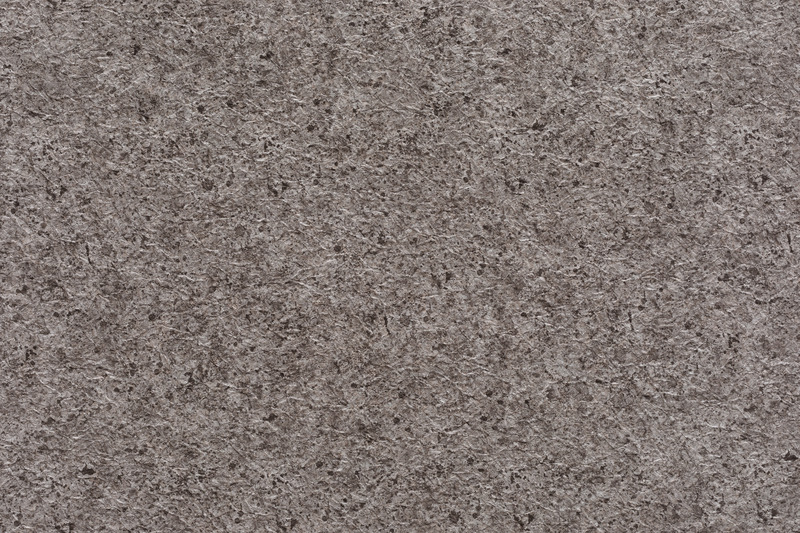 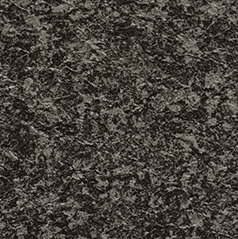 This innovative design incorporates the natural look of stone, with the comfort and simplicity of a Weatherdek walking surface. 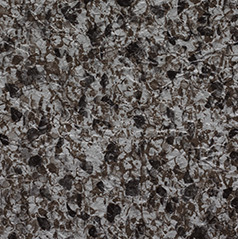 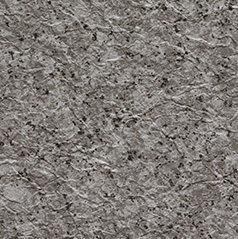 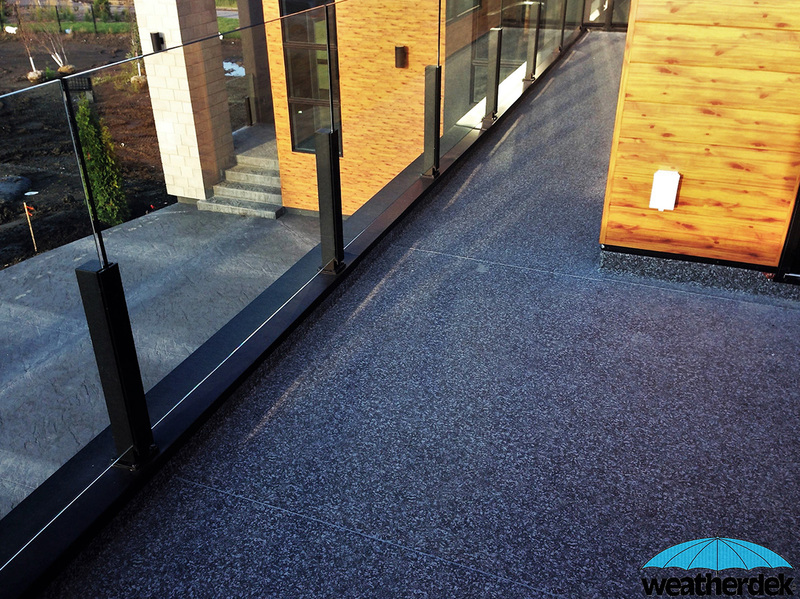 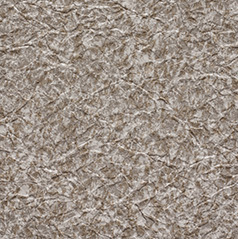 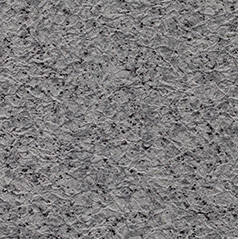 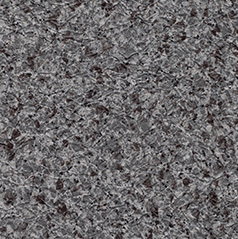 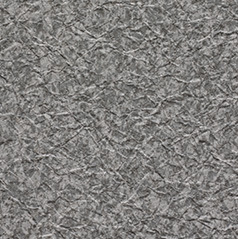 All Weatherdek Plus materials are ‘bare foot friendly’, and the Signature Stone Series is no exception. 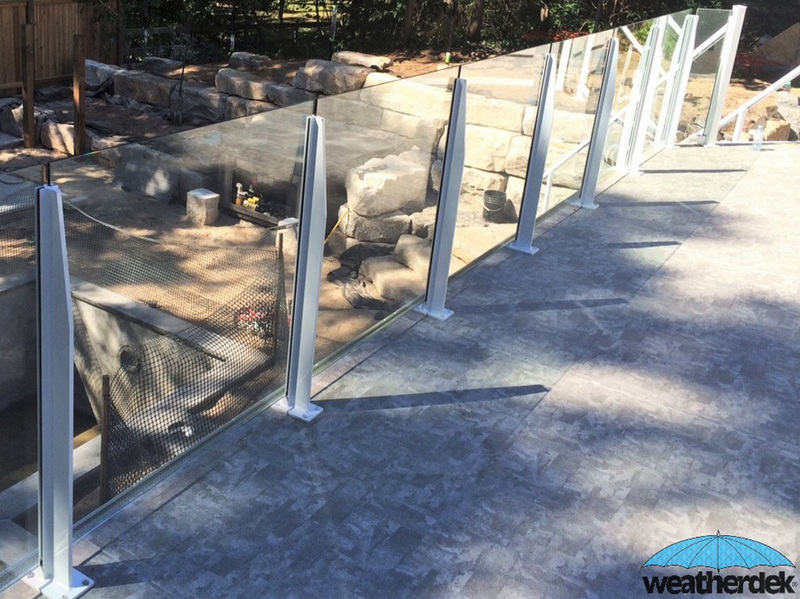 The subtle contrasts of this design lend well to heavy traffic areas or extreme exposures, and blend flawlessly with natural building materials such as stone or timber. 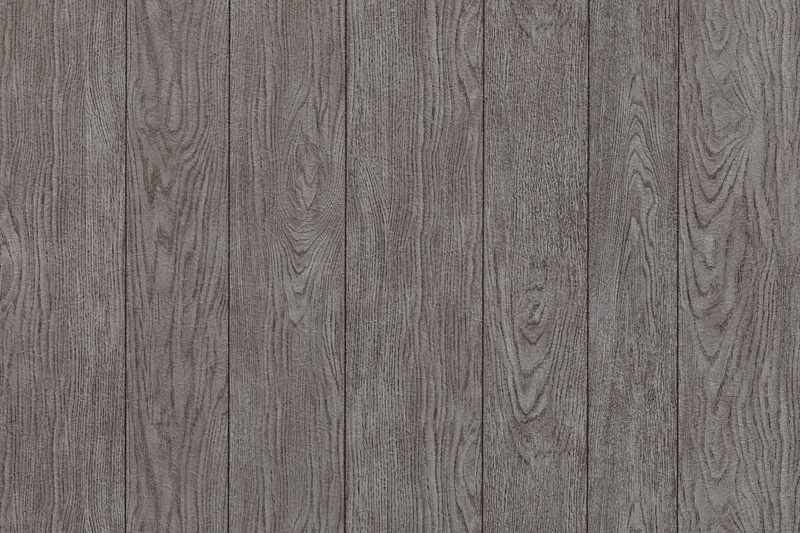 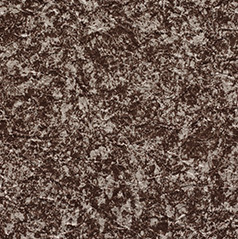 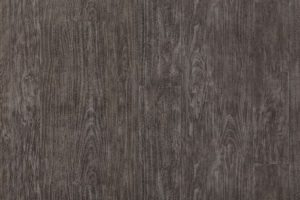 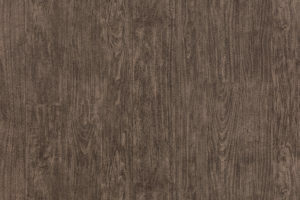 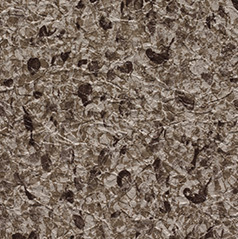 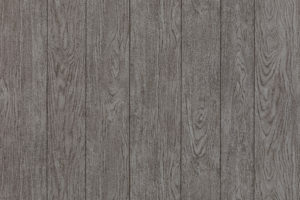 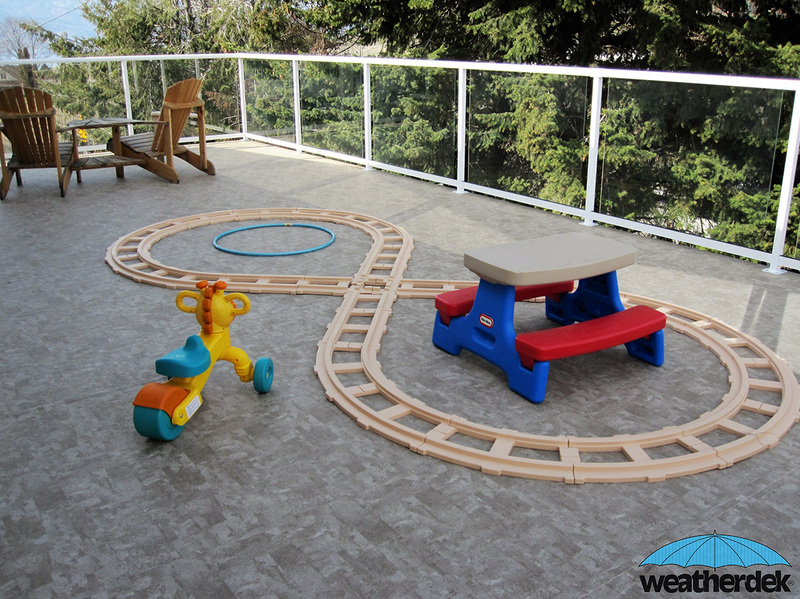 Modeled after the bold looks of a stamped concrete or natural tile finish, the Marble Tile Plus products bring brave design to the world of Vinyl Decking. 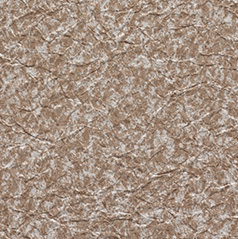 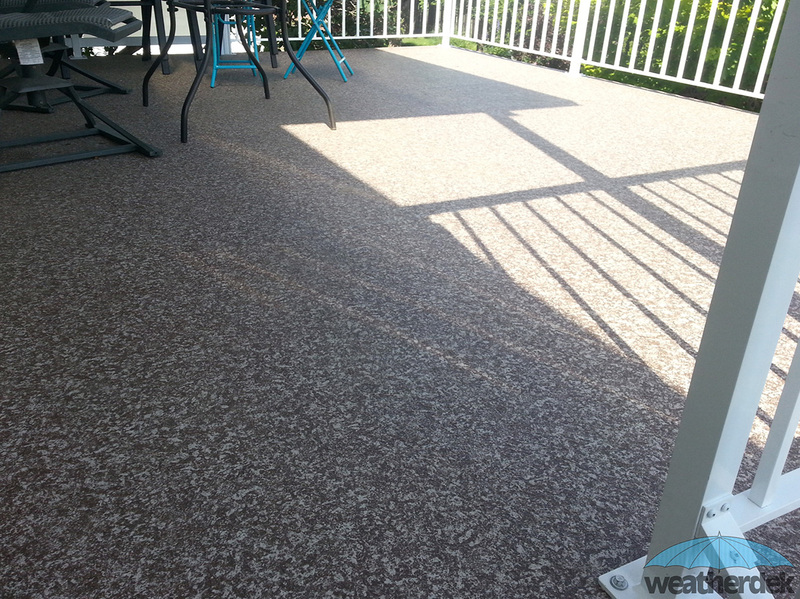 Rich color palettes and unique shading set these products apart, while still maintaining all the benefits of a Weatherdek surface. 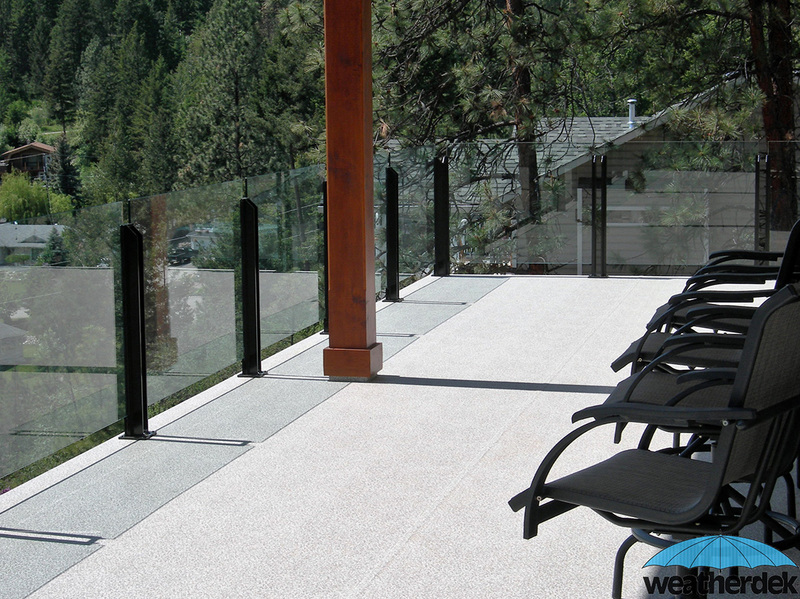 Easy to care for comfortable walking surfaces for practically any outdoor living space that will stand the test of time. 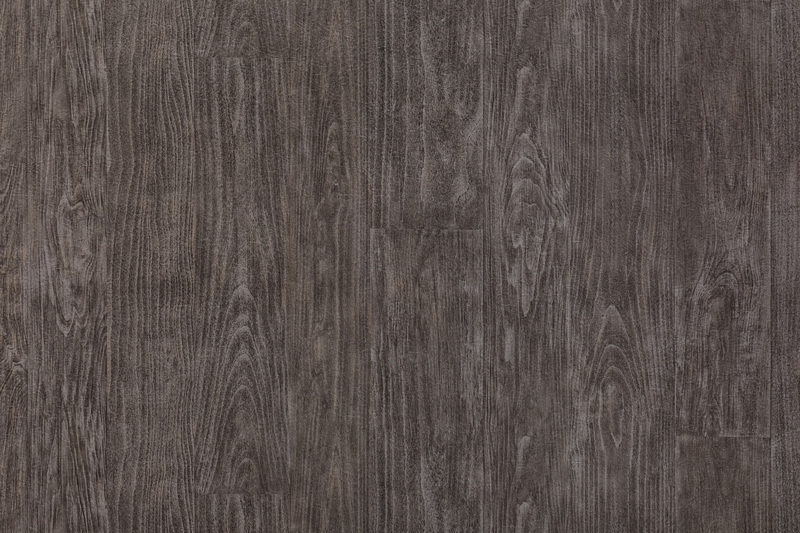 The Weatherdek Contract Plus series incorporates a simple yet appealing design with rich color tones that compliment darker home finishes, or contrast boldly with lighter cooler finishes. 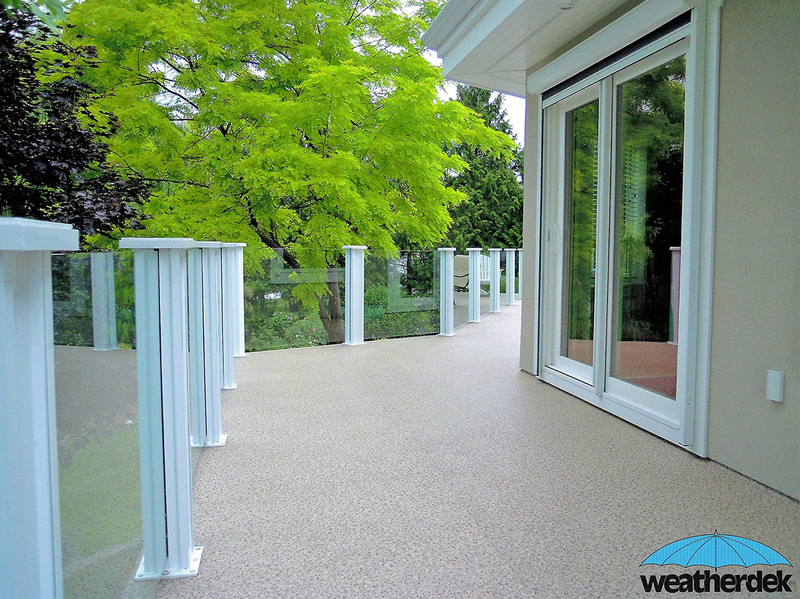 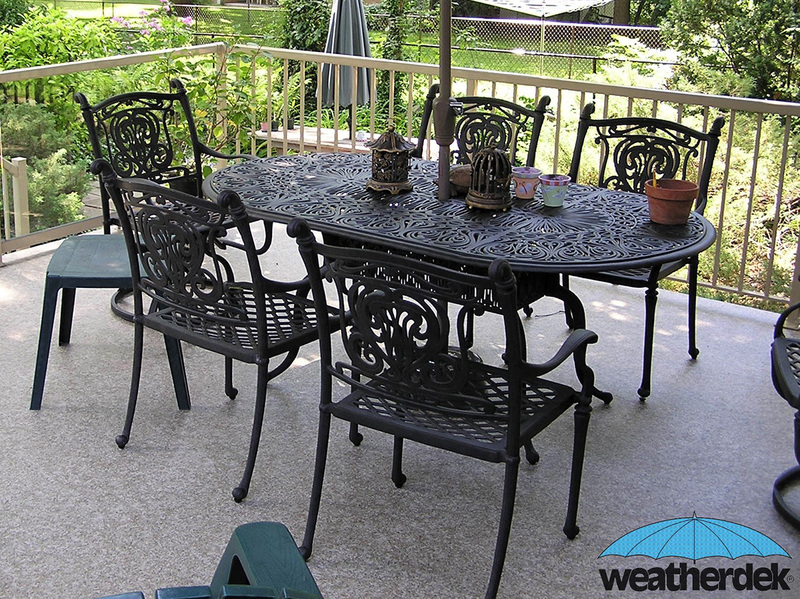 A very durable pattern the Contract Plus is great for a multitude of uses, decks, patios, balconies – virtually anywhere a rugged, watertight finish is required. 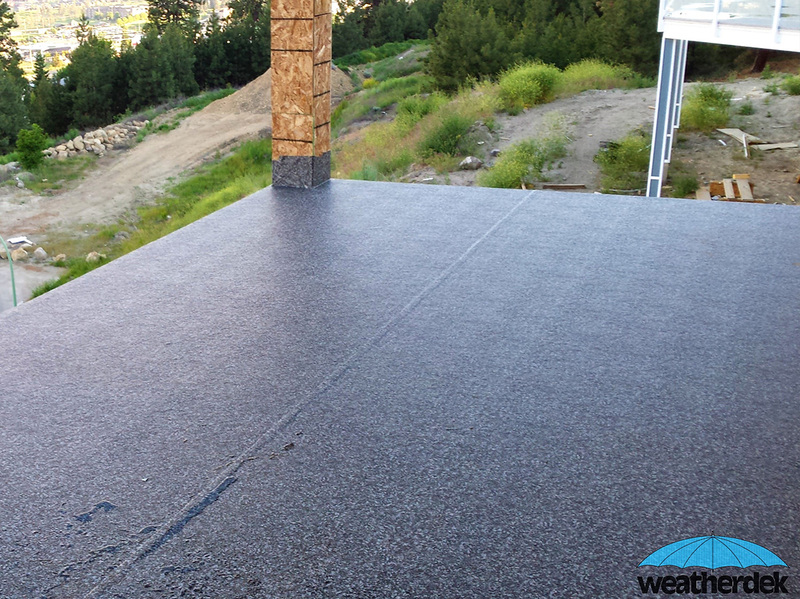 Like all Weatherdek Plus membrane, the Contact Plus is a roofing grade material, and can extend your living space by converting flat roof top areas into elegant outdoor entertaining areas. 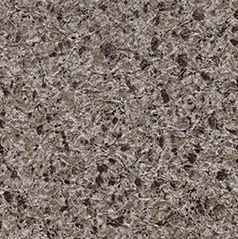 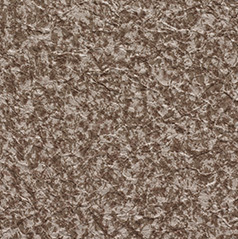 The Weatherdek Designer series offers a selection of pure and organic color tones that blend well in virtually any setting. 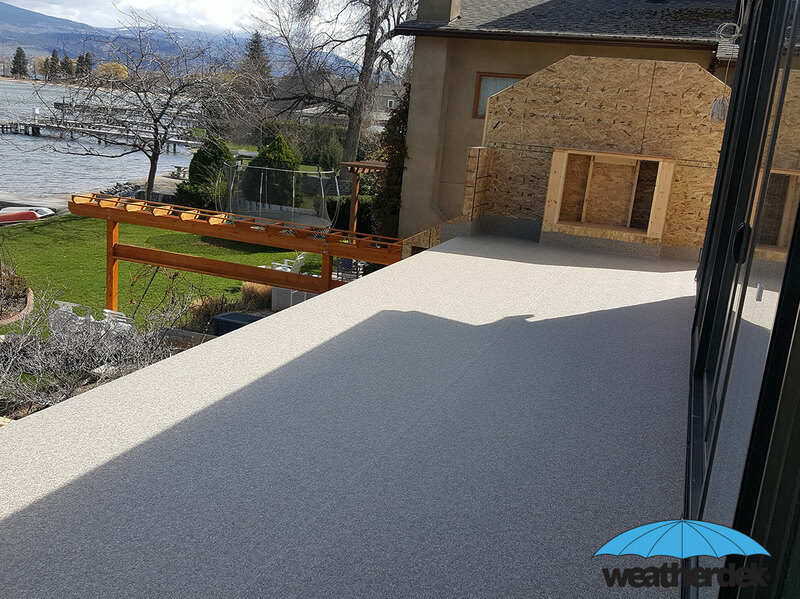 At 45 mils thick these products are designed for applications where a roofing grade membrane is not a requirement, but a waterproof comfortable walking surface is. 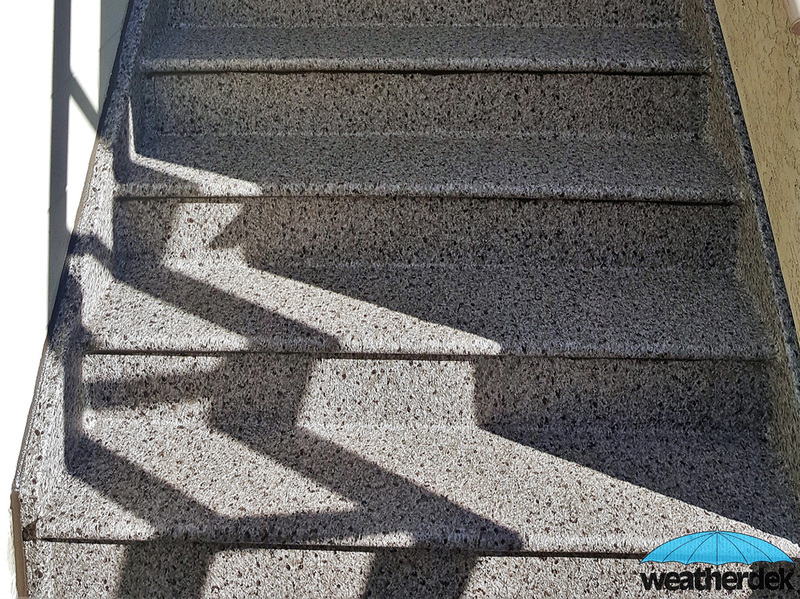 For years these patterns have been some of the most popular with homeowners and builders alike, and continue to deliver maintenance free long lasting waterproof protection against the elements. 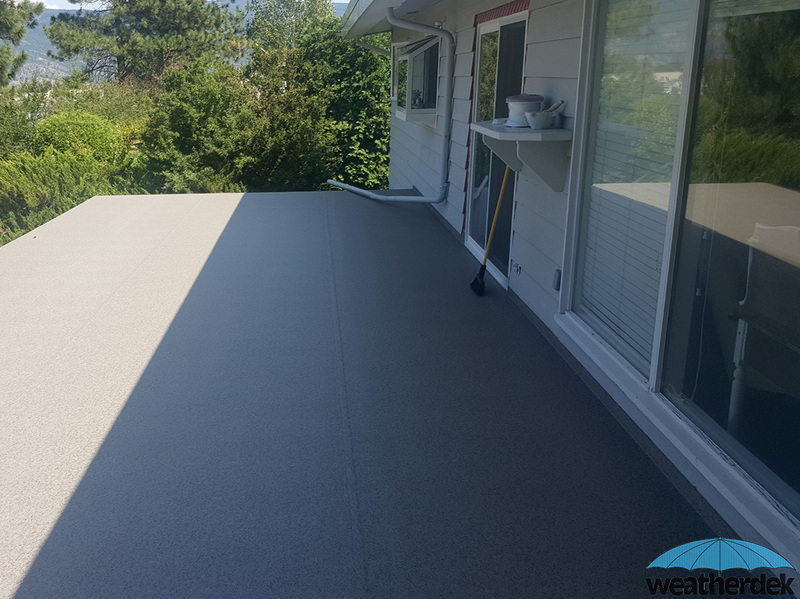 The Classic series is the same clean cool look of the Classic Plus, only in a thinner 45 mil material for use where a roofing grade product is not required. 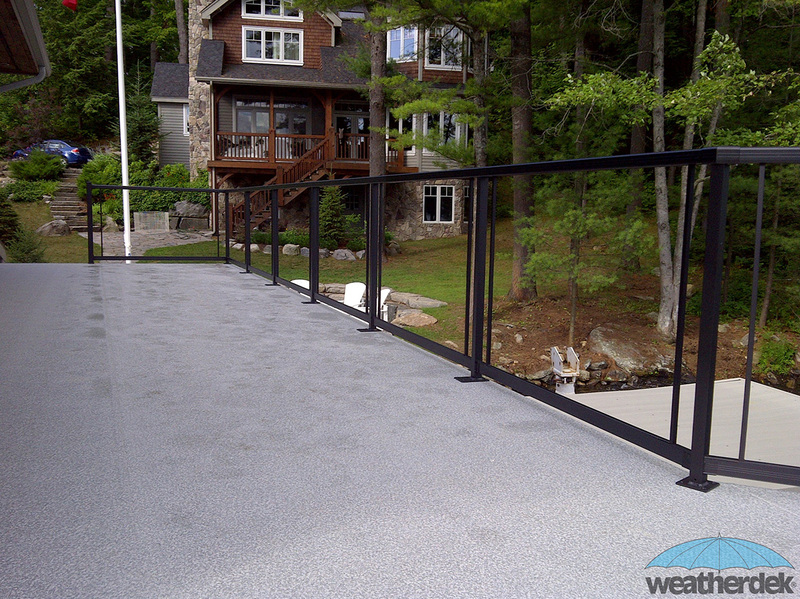 Sure to compliment any decor style, with a long lasting durable finish that is still 100% waterproof the Classic products will withstand high UV exposures and moderate traffic areas. 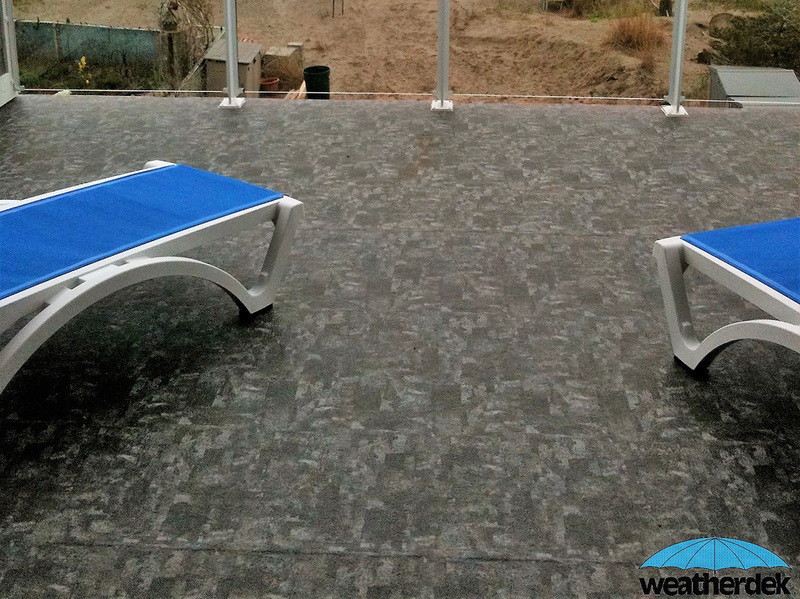 As with all Weatherdek materials the Classic is finished with a proprietary acrylic top coat for years or maintenance free protection and toughness.